A former journalist who rejoined a regional daily after spell working for the Press Association in London has died aged 92. Peggy Speirs joined the then Nottingham Evening Post in the early 1960s before leaving for a job with the national news agency. During her years with PA, Peggy’s reporting assignments took her far and wide but she later returned to Nottingham and rejoined the Post. She continued writing for newspapers and magazines until well into her 80s. 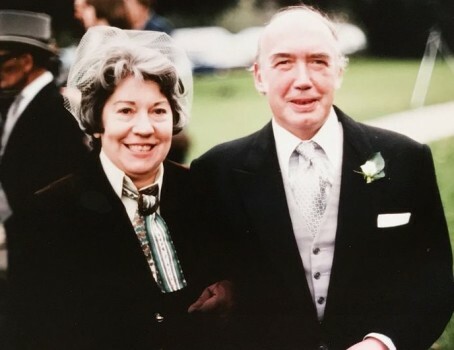 Peggy, pictured above with her late husband John, died last week at Nottingham’s Queen’s Medical Centre after a short illness. Originally from Cleethorpes, Peggy began her career on the Grimsby Telegraph after impressing the editor with her writing ability and shorthand skills. Peggy’s funeral took place at Lowdham Cemetry in Nottingham yesterday. A celebration of her life is being planned for next month. She leaves two step daughters and a nephew, Allan Palmer, who travelled from his home in Australia to be with Peggy during her final illness.